Today we’ll tell you about a place that used to belong to a caste of brave warriors. These days this place is good for shooting a horror movie. You might have guessed that the place is Barracks. Before the mutant onslaught, Barracks were a training camp and a campus for brave soldiers, defenders of Ark. 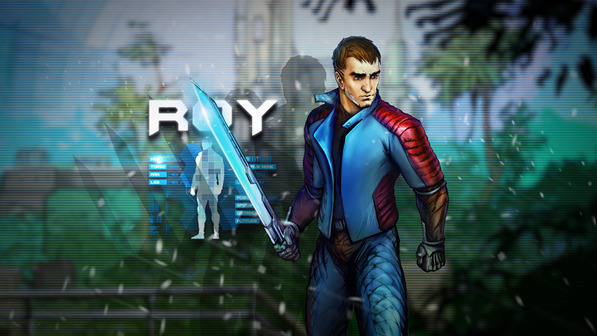 One of the Lost in Sky’s main characters Roy also spent quite a bit of time here, together with his fellow soldiers. Long training sessions and warcraft studies have done their job. The Ark warriors are rightfully considered the elite unit. Today Barracks look menacing. There’s blood, and gore, and human bodies, and pools of slime, and cocoons, dangling from the ceiling. The mutants damaged some life-support system energy generators during their attack. The electricity cuts are only making the dark picture worse. The spacious and now gloomy rooms are a great place for langoliers and giant hornets to dwell. In case some of you forgot, langoliers are flying creatures that look like fish. They live and attack in packs. The mutants nosedive on characters, emitting clouds of deadly gas and inflicting huge damage over the area. Hornets are dangerous because of their enormous size and rapid onset. A flyer attacks, ramming you with a poisonous stinger in the rear part of their body. You might find something useful in Barracks. Don’t forget that warriors used to live here, after all. 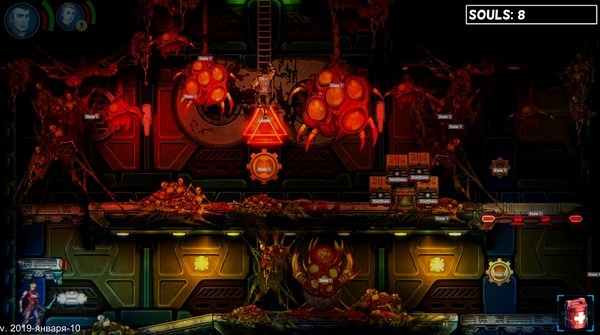 You will discover grenades as you walk through the level. They are metal spheres that can be thrown from a short distance and rebounded from a wall. They explode a few seconds after a throw and deal damage over the area. They’re very efficient against packs of enemies. Barracks is the place where Roy’s hearth and home used to be. He spent almost his entire life here, and now he hopes to find survivors. The question is, are there any survivors at all? We’ll see you again in two weeks! Today we'll tell you about a place that used to belong to a caste of brave warriors. These days this place is good for shooting a horror movie. You might have guessed that the place is Barracks.